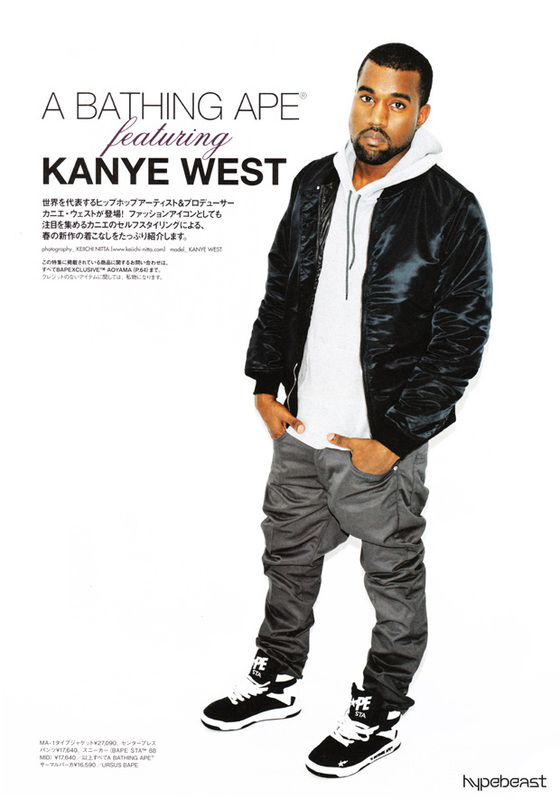 Wondering what Bape sneakers Kanye was wearing in the spring lookbook? Welp, they finally released last week at Bape retailers around the country, and now they&apos;ve just hit the e-store. The Bapesta88 Mid Nylon comes in four colorways, with this black/white being ours (and Kanye&apos;s) favorite. As a sidenote, Complex homie Kid Cudi will follow &apos;Ye and star in Bape&apos;s summer collection magazine that drops on Monday. Pick that up next week, and cop the sneakers now right HERE.